DO YOU KNOW HOW MANY KEYS THERE ARE TO YOUR HOME??? Many times kids give keys to friends, contractors sometimes still have keys sometimes realty companies still have keys. Now you can be sure how many keys there are! The safety of your family is important to us. Look at our coupons page if you are a new home owner. We offer re-keying and other security solutions for residential homes. 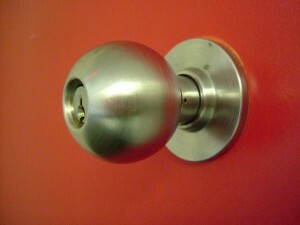 We can install new locks on your home, or we can repair damaged locks. Call us to secure you family’s safety. Have the peace of mind that only rekeying or lock replacement can give.